Getting great feedback on the book. Thank you and my best to everyone who has purchased a copy and is pursuing the start up of a restaurant or other food service facility. 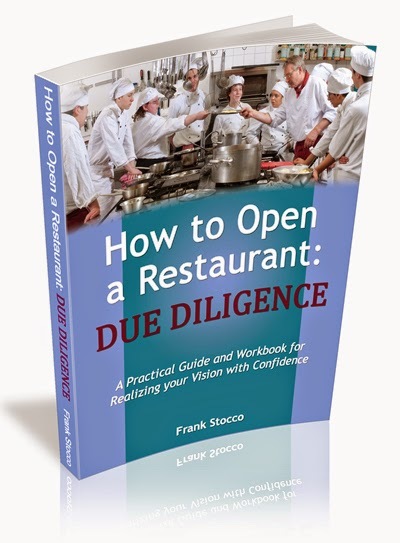 I am very confident that reading this book and following the instructions will help you immensely to make great financial decisions toward the opening of your restaurant, bar, coffee shop, banquet hall, commercial kitchen, or other boutique food service venue. If you've read my book, please contact me and let me know how it's going for you. Also, if you need design services or consulting help with your venue feel free to contact me. Do let me know that you have purchased the book and I'll be happy to deduct the cost from my design or consulting fee.